Vehicle and Fuel Monitoring. Vehicle monitoring. Fuel monitoring. Fuel tank monitoring. Fuel level sensor. Universal compact vehicle GPS/ GSM-GPRS module with fuel monitoring function (multi tanks supports) and acceleration/deceleration monitoring. 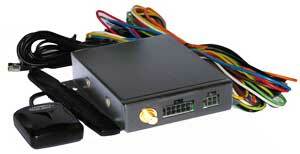 GuardMagic VF2 module designed for remote supervision of mobile object movement (vehicle, special machinery, etc.) and remote fuel monitoring. Module supports up to THREE regular fuel tanks. GuardMagic VF2 is compact universal vehicle GPS/ GSM-GPRS module for remote supervision of mobile object movement (vehicle, special machinery etc. ), vehicle status, fuel level tank monitoring. GuardMagic VF2 provides wireless connection to the Internet network, connection to the Internet server (Monitoring Station) and transmitting information to the Internet server (Monitoring Station). GuardMagic VF2 intend for construction vehicle “On-Line” monitoring system with fuel monitoring function, fleet and fuel management systems. GuardMagic VF2 modules support “GuardMagic Universal Communication Protocol”. (“GuardMagic Universal Communication Protocol” allows to have modules with different functionality in one system). GuardMagic VF2 is intended for function in GSM 800/900/1800/1900 networks. automatically switch to "sleep mode" (energy-efficient mode) if transport with no activity. In additional GuardMagic VF2 allows remote engine start blocking.